One day tour, where you will visit the old summer residence of King Rama IV and the Tham Khao Luang ‘cave’ temple complex, which is famous for its statues of Buddha and several Khmer Temples. One day tour of the largest National Park of Thailand. This is the country’s last unspoiled rainforest and is home to a wide variety of wild animals such as leopards, tigers, elephants, bears, gibbons and several other species of monkeys. One day tour to the Pala U waterfall in a stunning rainforest environment. Includes dinner in a typical Thai restaurant on a beautiful lake. 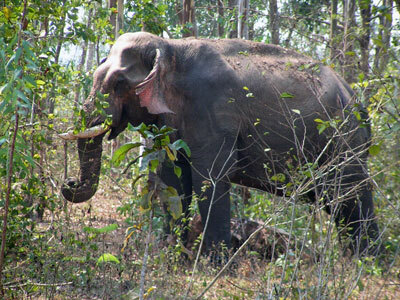 On the return journey you are likely to see wild elephants passing the road. We start this trip visiting Wat Huay Mongkol temple. It holds the biggest statue of the famous monk Luang Phor Thuad and is also a serene, peaceful place to relax. Afternoon/evening fieldtrip to see wild elephants in a fairly open natural environment. Perfectly suited for filming or photographing. The Wildlife Rescue Center provides a safe haven for many wild animals rescued from the illegal wildlife trade. Educational tours at this biggest rescue center of Asia are also provided. Travel past coconut plantations and prawn farms to Ban Bang Phou Bay were you will take a short boat ride to a secluded beach. 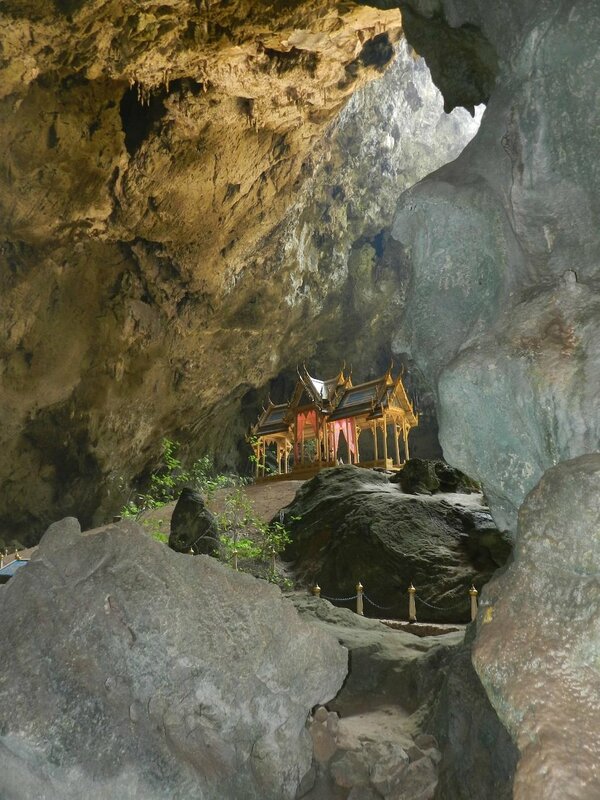 Follow along a trail to the famous Phraya Nakhon Cave. 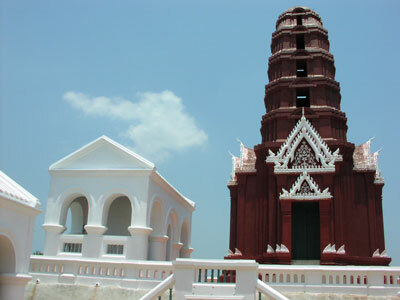 A variety of Thai style restaurants are available at Ban Bang Phou Bay. Koh Talu (also spelt Koh Thalu or Ko Taloo) is a private island in the Gulf of Thailand, 30 minutes boat ride from Bangsaphan. The shallow clear blue sea with rich marine life is the perfect choice for snorkeling and diving. Only two kilometers from our resort we have a nine hole golf course for beginners. The golf course is free of charge, a small tip is advised. 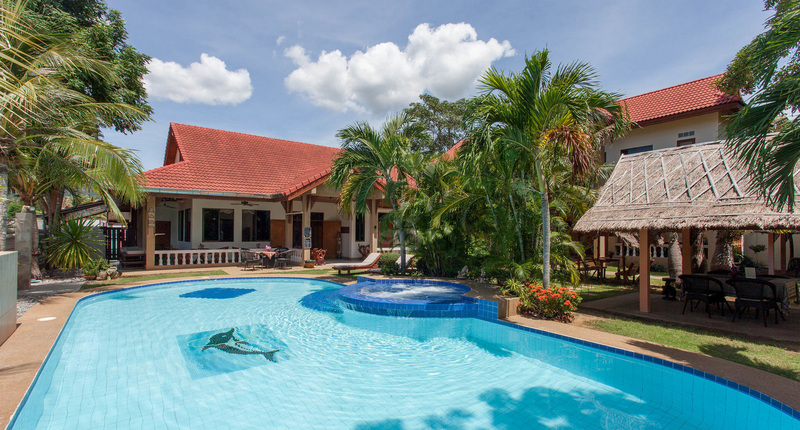 For information: Long Beach Inn 223/4 Moo 4 Sam Roi Yot National Park, Prachuabkirikhan, 77120 Thailand.